The year has barely started and a popular consumer brand for men has already launched what could arguably be the most controversial and talked about ad campaign for 2019. “The Best Men Can Be” campaign aims not only to refresh the brand’s 30-year old tagline (“The Best a Man Can Get”), it also aspires to redefine the definition of modern masculinity. The two-minute short film tackles the issue of how toxic forms of masculinity (such as bullying, catcalling, sexual harassment, reliance on physical violence, etc.) have been normalised in our everyday lives and urges its target audience to change this harmful status quo by holding themselves accountable and calling out such behaviors in themselves and others, resulting in a great mix of reactions from people online. While many people strongly support the brand’s message, a significant male demographic of the brand’s consumers gave exceedingly critical and negative reactions to the ad. With such risk of extreme backlash from its target market, why then did the brand decide to launch such a bold and seemingly out-of-character campaign? There’s a misconception that gender-positive advertising translates to brands prioritizing women at the cost of men, that it asks to give women the platform and get men off the stage. Gender equality is defined as the realization of equal rights, responsibilities, and opportunities between men and women. Gender-positive advertising is simply the public expression of those equal rights, responsibilities and opportunities. It’s the promotion of gender-inclusive messaging, which gives the interests, needs and priorities of both genders equal consideration. It’s going against age-old gender stereotypes embedded in families, societies and cultures to give women and men an equal share of the platform. In a manner of speaking, it’s bringing women out of the kitchen and unburdening men from toxic masculinity. The world is growing more gender positive by the day, and advertising needs to catch up. In the past two years alone, several countries achieved 87 legal changes towards gender equality. In January 2018, Iceland became the first country to require proof of equal pay from companies. The United Kingdom, Denmark and Finland are also taking similar measures. In South East Asia, Vietnam is creating an enabling environment for women in the workplace through its Labour Code Reform. The Philippines, on the other hand, has ratified an expanded parental leave bill, which encourages a more equal distribution of childcare and economic opportunities among Filipino families. The female wealth market is also expected to rise to USD18 trillion. They control a majority of global household spending and a projected consumer spending of around USD40 trillion in 2018, with the female demographic making a huge number of purchase decisions—particularly when it comes to fast-moving consumer goods. Consumers, in general, are also increasingly looking for companies that affect a positive change in society. There is a strong demand for businesses to deliver a progressive, gender-positive message from all around. For example, popular consumer brands have seen more branded impact and engagement with their non-stereotypical and progressive ads,1 such as #SharetheLoad and Real Beauty campaigns. Brands that deliver progressive ads have been associated with higher purchase intent for all consumers, especially for women. These data and examples tell us that diversity and gender positivity in advertising is no longer just a moral imperative. It isn’t just a business imperative. It’s the new business priority. 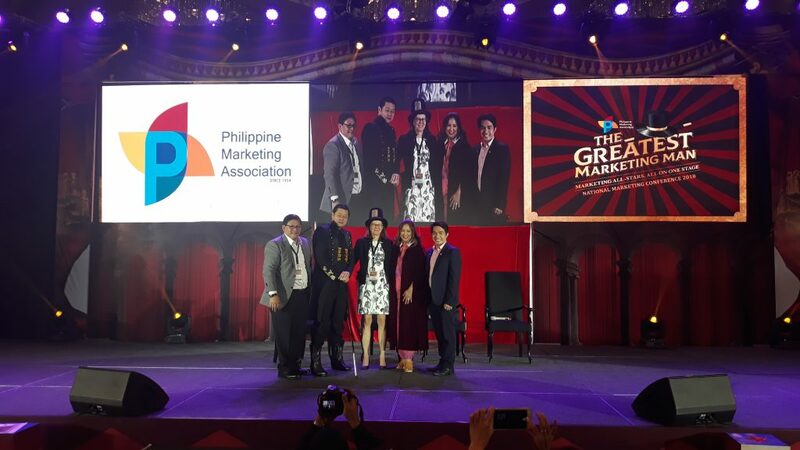 Investing in Women, in partnership with Philippine Marketing Association (PMA), is changing attitudes on gender roles within the marketing and advertising communities in the Philippines at PMA’s 49th National Marketing Conference, held last August 2018. Traditional roles are no longer relevant—particularly in ASEAN economies, like the Philippines and Indonesia, which are dominated by working-age millennial consumers embracing shifting contemporary gender norms. Yet, gender bias remains commonplace in modern-day advertising. For instance, some women are no longer able to relate with the women they see in ads due to outdated gender role assignments in advertisements. There’s also a difference in opinion between women and men in terms of recognizing outdated depictions of each gender in films and advertising. While 85% of women notice these traditional gender role portrayals, only a few men think there is a problem with women’s representation in media and advertising, or that this problem should be addressed. There’s also a considerable percentage of men that think there is no problem at all. This gap exists because the majority of expert roles portrayed in ads are assigned to males. Men are more likely to play inherently intelligent characters, like a doctor or a lawyer, and are more likely to be given more placement or talk time in ads. Meanwhile, women who are portrayed as aspirational leaders in ads are scarce. Women are still typically sexualised and depicted as second best—in subtler but equally significant ways. In the field of humour, for example, men are almost twice as likely to be portrayed as funny, whereas female actors are usually shown in sexually revealing clothing. In general, women depicted in ads are ten years younger on average and are more likely to be shown in a kitchen. This lack of diversity and progress in representation affects women and men alike. Little girls start thinking they are less intellectually brilliant than boys by the age of six. Most women opt out of important life activities and feel under pressure to never make mistakes or show weakness. Men, on the other hand, feel caged by the stereotype of being tough, homophobic, aggressive, and so on. These problematic depictions are leading them to social pressure, inhibiting their ability to talk about their issues, self-image and behaviour. This, in contrast to views on masculinity, is undergoing a change over the past five years, with society becoming more accepting to the different expressions of ‘being a man,’ in which mental strength is valued as much as their physical strength. Gender-biased advertising fails to reflect this new reality. Promote gender equality in the workplace. Companies can benefit from making a conscious effort in bringing women onboard to provide a gender lens into their creative process. Stereotypes are often the product of cultural conditioning. Having diverse teams—in terms of age, gender and even ethnic background—helps significantly with challenging stereotypes and reducing unconscious bias. It ensures a real representation of women in ads and results in creative output with a more powerful, insightful message that resonates more effectively with the modern target audience. Drive and measure results toward gender equality. We live in an age where consumers want to see a real commitment that goes beyond a single message. If companies can point to clear improvements, they’re more likely to avoid mistakes that can come with being near-sighted. One way that companies can manifest their commitment is by aiming to secure certifications from Economic Dividends for Gender Equality (EDGE), an international methodology that assesses gender equal policies, practices and perceptions in the workplace. Develop an authentic purpose. This is something companies can do by strategically identifying where their brand can make a real difference to its supply chain, consumers or workers. Finding this purpose can help affect company-wide change and establish a culture that is gender-aware, both internally and externally. It’s no good having great marketing if the company is being castigated for failing to act on equal pay or other gender-related issues. An example of an advertising campaign that has successfully broken stereotypes in a company’s branding is the “Find Your Magic” campaign, which moves the brand away from decades of objectification. It urges men to ditch macho stereotypes and portrays the modern world of attraction—the true magic that happens between two equals. Another example is the “My Mutant Brain” campaign, launched by a fashion company to promote its new fragrance. The ad shows a woman escaping from a boring black-tie event and breaking into a crazy dance around the venue. This breaks the brand away from the tired narrative that fragrance ads tend to follow (i.e. a woman or man wearing the perfume in an extremely glamorous situation). The campaign gained more than 10 million views, reaching viral status. These examples prove that non-stereotypical and progressive ads are the way to go. They prove that companies adhering to the new business imperative of gender-positive advertising can face a future of success.